The SALT Lending Platform allows holders of blockchain assets to leverage their holdings as collateral for cash loans. SALT is the first asset-backed lending platform to give blockchain asset holders access to liquidity without them having to sell their tokens. SALT provides investors with an innovative and secure opportunity to lend against a high-growth asset class through a fully-collateralized debt vehicle. SALT is traditional lending secured by non-traditional collateral. In the past, the difficulty and costs of liquidating, transferring, and storing assets has required lenders to focus on the creditworthiness of their borrower as well as the value of their borrower’s assets. This inefficiency results in limited accessibility to cash and higher interest rates for borrowers. Distributed ledgers represent a paradigm shift in the storage and transfer of assets and, for the first time in history, there is a perfect form of collateral: blockchain assets. 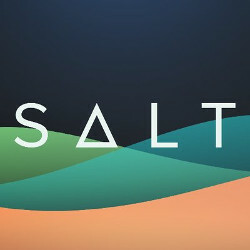 SALT is pioneering an evolutionary leap forward in lending, whereby the value of a borrower’s assets are fully recognized and credit history becomes irrelevant. Monitoring of both the loan origination and the payments made by the borrower to the lender. Generation of alerts if the value of the blockchain asset drops below an agreed upon threshold. Storage of collateral until loan terms are fulfilled. Dispersal and/or liquidation of collateral according to loan terms.